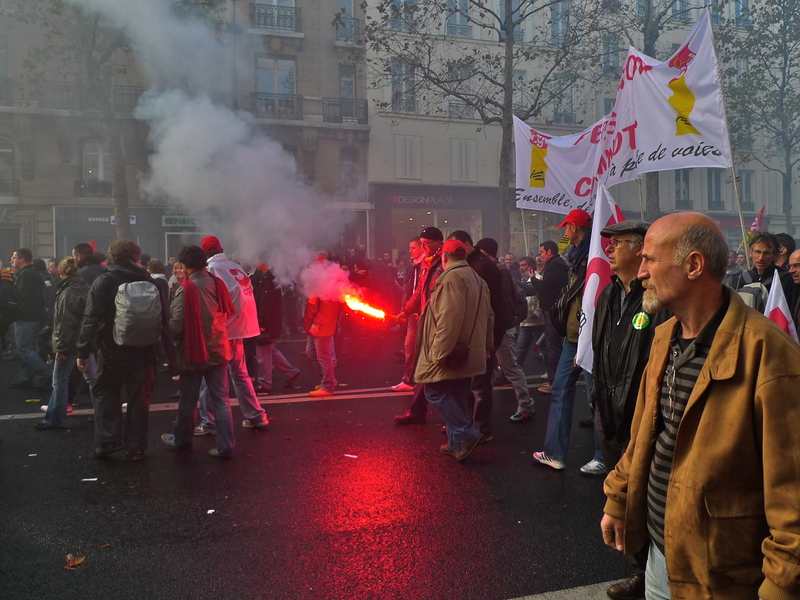 ONE YEAR AGO, FRANCE was in the grip of a wave of public protests, or manifestations as the French call them, about pension reform. A year has passed and it all seems a long time ago. 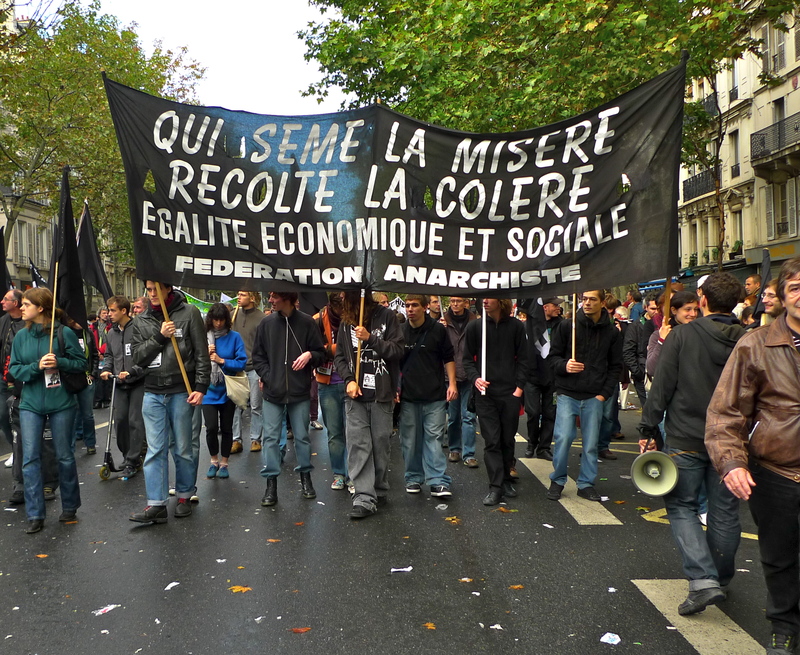 The major protests occurred during October and early November last year and I attended them all. So, on the anniversary of those protests I was minded to listen again to the recordings I made at the time. 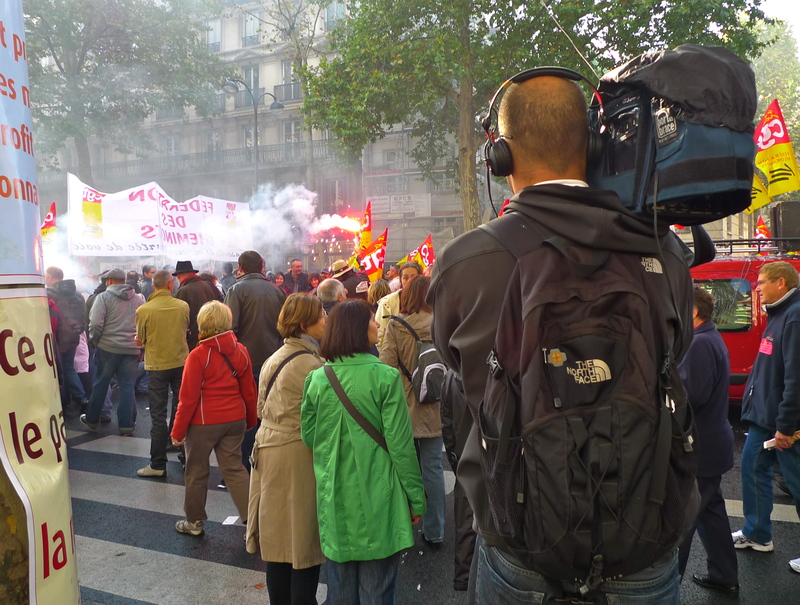 You have to say, the French really do know how to organise a manifestation. Hundreds of thousands of people seem to take to the streets at the drop of a hat. I’ve seen many of these demonstrations and although they seem to work to a tired formula – the same people, the same banners and the same slogans, I nevertheless find them interesting. It’s the crowd dynamics that really fascinate me. For the most part, these demonstrations although passionate are usually pretty good-natured and although some sections of the crowd can be quite aggressive, wanton violence seldom breaks out. I’ve often wondered why this should be so. There are probably many reasons why these demonstrations seldom get out of control but I think that one major element is the use of sound. After listening again to many of the recordings I’ve made of these events it’s become clear to me that amongst the whistling, shouting and apparently random noise, there is a powerful sound architecture in play which acts both as a means of expression and, at the same time, as a means of control. If you listen to the following sounds you’ll see what I mean. From a distance, these manifestations may look like a random group of people filling the streets but in fact they are very well organised. For the most part they comprise individual groups each representing an organisation, a profession, or a special interest group. The individual groups can be made up of thousands of people or a mere handful and yet the group dynamics are the same for each. Each group has its leader and its followers. The leaders lead by orchestrating the behaviour of their group and sound plays a very important part in this. The instrument they use most often is the chant in the form of a call and response, the leader calls and the crowd responds. This can be a very powerful instrument and its power derives from the use rhythm and repetition. The group leader sets the tone by choosing the words or phrases to be repeated and then manipulating the rhythm of the chant. Sometimes the changes of rhythm are obvious but often they are very subtle. 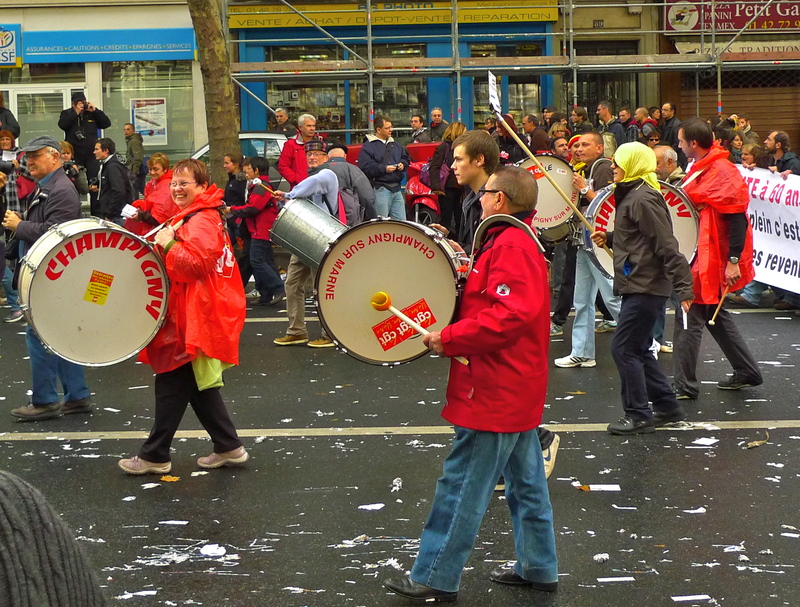 As well as changing the rhythm the leader often changes a word or a phrase in the chant and the crowd responds accordingly. What can be disturbing to watch and to listen to is how the leader can whip a crowd into frenzy by using sound. You can hear an example of this in the last three minutes or so of my sound piece beginning with the chant, “Tous Ensemble … Tous Ensemble … “. I can remember at the time finding this quite chilling. So, what has all this to do with the lack of real violence at most French demonstrations? My conclusion is that sound is an important key. The chanting is a vehicle for protest; it allows the people to speak and to be heard. The repetition and rhythms of the chanting seems to impose a discipline on the crowds as well as retaining their interest and enthusiasm. The chanting also seems to have a bonding effect creating the atmosphere of working as a team. If the demonstrators feel that they are acting together in an orchestrated way and that their voice is being heard then perhaps they are less likely to resort to indiscriminate violence to make their point. I think there is another side to the coin though. My recordings demonstrate the power of a leader to manipulate a crowd through the use of sound and history has taught us that we should be very wary of that. Such is the power of sound.